Garry Browne sits in his Ultimo office in Sydney. A wool shed in its previous life, it’s a remarkable work space with its exposed wooden beams, raw brick and oddly sloping floor. There is a richness of character to the space – and much like the company Garry Browne leads – it permeates a sense of history and admiration for who and what has gone before. Born and educated in Sydney, Garry is a master of brand building. From the moment he speaks, it is plain that he is immeasurably proud of the entity that he has guided these past 20 years. “We are a strong and proudly Australian company – a company that has been built from the ground up on a foundation of loyalty, friendship and family values dating as far back as 1884,” explains Garry. Stuart Alexander & Co. imports, markets and distributes premium brands such as Chupa Chups, Fisherman’s Friends, Mentos, Tabasco, Ocean Spray and Duracell batteries throughout Australasia. A privately owned business, Stuart Alexander & Co. employs over 180 people nationally. Its founder, Fernand Levic, was born in Alsace, France in 1861. Bound for Ceylon, Levic was instead convinced by his ship’s Captain to stay aboard and explore the opportunities within the young British colonies of Australia. 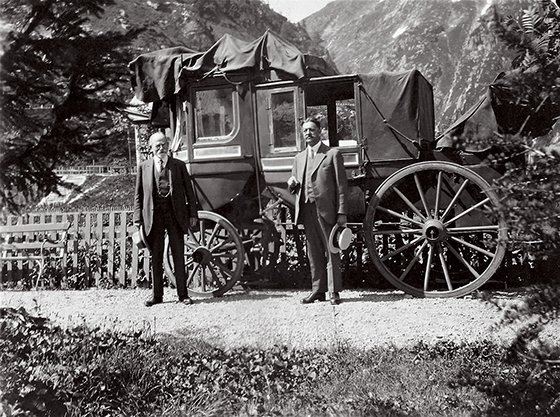 Going on to establish a successful import business, Levic employed sales reps to demonstrate products and to take orders - including the company’s eventual namesake Charles Stuart Alexander who joined the business in 1890 as a commercial traveller. Fernand Levic, retired in 1920 after spending 36 years forging his much loved enterprise. His partnership with Charles went beyond mere matters of business and he rewarded his faithful employee by selling him a 50 per cent share in the business for a mere 100 pounds. Fernand's 19 year old son, Gerald became an equal shareholder. 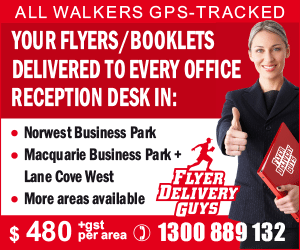 Gerald travelled throughout Australia, New Zealand and across to Europe and America acquiring agencies for the company. In 1930, with the country in the grip of the Great Depression, Gerald purchased the remaining 50 per cent holding and Mr Alexander retired. It was at this time that Gerald starting importing canned foods and because an agent for pharmaceuticals. He also started holding shelf stock for instant delivery - all which contributed to helping the company stay afloat during the Great Depression. 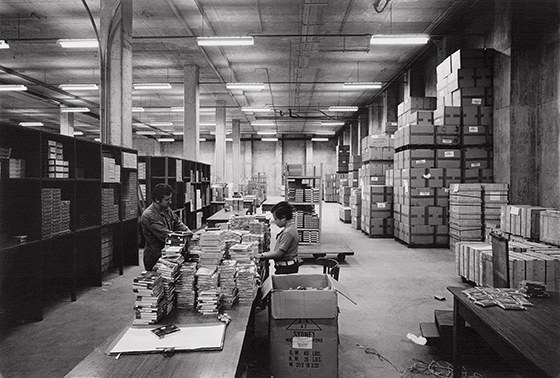 Wesley Browne (who had joined the company as a 16 year old messenger) was appointed Managing Director in 1976 and the company moved to Rosebery in Sydney. The three years from 1995 to 1998 were the beginning of a great change within the company. During this period, Wesley retired. Mr Browne had dedicated his working life to developing the business into a well-recognised and respected company, both in Australia and internationally. 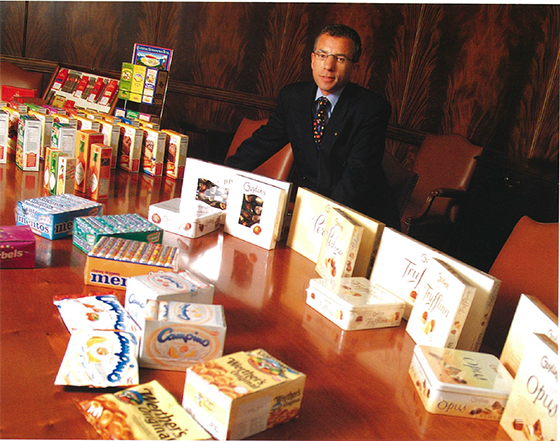 Garry succeeded him in 1995 bringing a focus on food and premium brands as the company found new direction. “It was a tremendous honour and responsibility to take charge at Stuart Alexander & Co.,” Garry says, the gleam in his eye suggesting he is as proud of that day now as he was then. Not that the path to Managing Director was easy for Garry. “I struggled to fit in at school; I was not in the click. I really sought for some sort of recognition as a young person and someone suggested that I try for the school 3000m run. Everyone heard at the school and they all gave me no chance for success. But I trained and l listened and learned about my main competitor. “As it turned out the guy who was the school champion was just a cruiser and had no regard for me so I just followed behind him. I did not try and lead until the final 600m to home – and then I took off! I ended up winning the race and people could not believe it. From that day if people told me that I couldn’t do it then I would ensure that I did do it,” Garry adds. Garry was not a natural student but his work ethic and tenacious attitude got him by. “When I was at school I was told I would never get a high school certificate (HSC). It was only in the last two years of schooling that the headmaster showed confidence in me and told me I might have a chance. “The memory of getting my results for the HSC will never leave me. I ran down to the post office and had to look at the results twice to believe I had actually passed. My results meant I would have the opportunity to go to university, making me the first person in my family to have the opportunity to receive a university education,” he added. 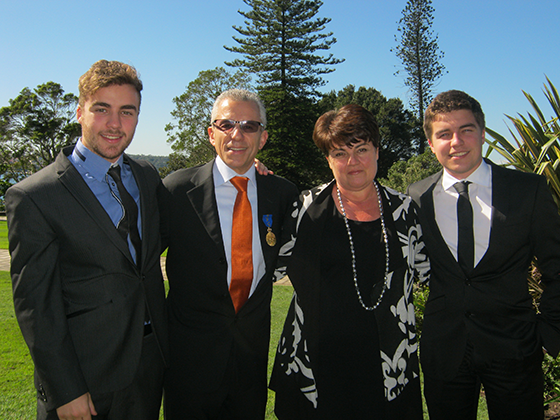 Garry went on to earn a Business degree, majoring in marketing from the University of Technology Sydney. While studying, Garry also worked at Stuart Alexander & Co. in the sales team. Garry left the business in the early 1980s and went to work for Sara Lee in Europe and the UK. In the mid-1980s Garry returned to Australia to take up a job opportunity back within Stuart Alexander & Co.
An insatiable thirst for knowledge and a desire to continually hone his business skills, Garry then applied and was accepted into the Owner/President Management Program at Harvard. “It was a fabulous program. It allowed me to gain exposure to so many different people from so many different countries and walks of life. It allowed me to build confidence, knowledge and understanding - both in the skills of business but also in my belief that you really can do anything if you set your mind to it and have the right skills and people around you. Stuart Alexander & Co. has a history of diversifying as business needs warrant – moving into new areas, products and roles as required. With this capacity to challenge and change, Garry has also faced his share of adversity. “We have been in business for over 130 years and with that come incredible stories of great success and great adversity. Everyone loves to hear about the successes and probably like to hear less about the adversity, but it’s actually the climb out of the ditch and back to the top of the mountain that is the exciting thing,” Garry adds. 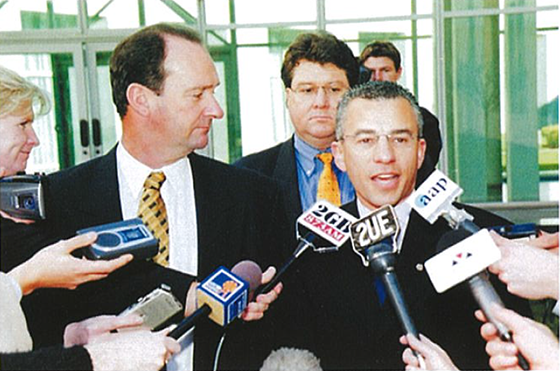 Stuart Alexander & Co. had worked with one of their Brand Partner for 48 years when a global merger of their business in the late 1990s meant the business had to sell the rights in Australia. This meant the business that Garry was running went from a turnover of $250million to $60-70million virtually overnight. “It was marginal whether we would survive but I always thought we could make it work. Our shareholders were shocked by what had happened but they decided they would come along for the ride. We had to trim our cloth accordingly but we wanted to keep the business going, acquire additional business and focus on getting back on our feet. 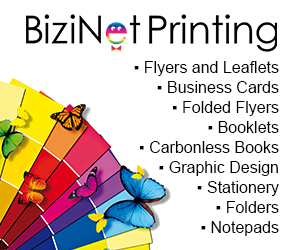 “After two years we made a very small profit and after five years we doubled the business. It was a rocky ride, we trod on many sharp objects, we cut our feet but we bounced back by keeping our head down, keeping our focus, having patience and persistence and considering all our options before making decisions. “Today we far surpass that $250m turnover and we have a much more sustainable business than we ever had previously,” Garry added. Garry is an advocate for a balanced holistic life and making a contribution to the community both in a business and personal sense. Apart from the contribution the company makes to charity, Garry also spend considerable time helping businesses in the ‘for purpose’ sector. “I get an enormous amount of satisfaction from my effort in this space. I believe ‘for purpose’ organisations need commercial and marketing support to help them step up and to deliver against their mission. Garry is not content to just keep a seat warm on a board, he needs to ensure the value he adds gives something back. A Board member for various organisations and a Rotarian for over twenty years, including a stint as District Governor, Garry is a do-er whether with his own hands or helping by mentoring others. Still an active athlete and an accomplished marathon runner, Garry has experienced all manner of adventure activity in the name of fundraising for charity - including the Simpson Dessert Challenge, Mt Kilimanjaro and cycling from Bangkok to Khao Lak to name just a few. “Competitive sport has taught me an enormous amount that’s applicable to business. I had many downs in my sporting career but I knew I had to bounce back and take each setback for what they were - a learning experience to apply to my next race. Business, like sport, is about persistence. You need to ensure that you keep doing what you know is right – and continually improve to stay ahead. When asked to describe the things that he thinks are most important for a successful business, Garry doesn’t hesitate. “At the end of the day I feel responsible for our people and in making sure they are looked after and that we have a business that is good for our shareholders. That’s always hard sometimes in this commercial environment where people forget about values, and all they worry about is value. As the time with Garry concludes, he leaves with a parting thought that best describes why he has been as successful as he has, and also summarises how he has remained as energised about the business today as when he first started some 40 years ago.